Typical for vaulted or cathedral ceiling install where compact thickness is needed. 8 pieces per bag. 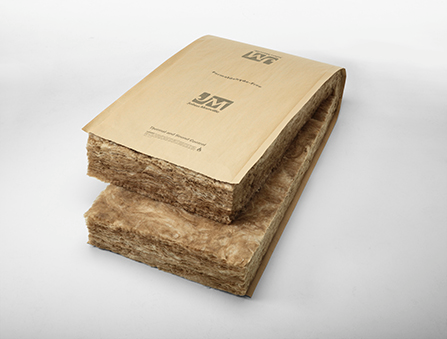 High Density or Compact insulation has a smaller thickness which allows the needed air gap between insulation and roof sheeting that most codes require. This compact thickness is needed to install R-38 to fit 2 x 12 framing typically found in vaulted or cathedral ceilings. Friction fit for fast installation- no stapling required. Easier to cut than kraft-faced. Typically used with 4 mil poly sheeting if vapor barrier is needed. Click here for more on vaulted or cathedral ceiling installation.